There is a great new pop/rock track called 'Play' by Quebec band 'The Suits XL' starting to get airplay in Canada that everyone should check out, it is a perfect summer song. You can download it on iTunes Canada, or listen to it on their My Space page. 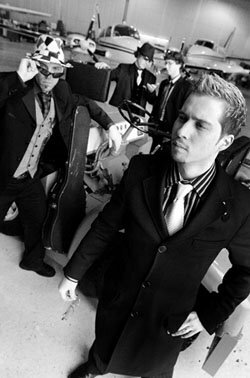 They are signed to 604 Records which is home to the bands Theory Of A Deadman and Armchair Cynics. Their album 'Quarter-Life Crisis' is due out this summer, and you can watch the 'Play' music video at the 604 Records website. 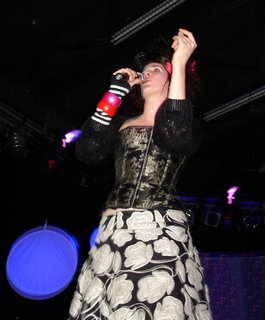 Well I just got back from my second Imogen Heap concert and once again she put on a fantastic show. Her performance was more polished and she seemed much more comfortable on stage than the last show here back in January. It was nice to hear a few different songs from the last show in the city, 'Speeding Cars' the b-side from the 'Goodnight & Go' cd single was a nice addition, but she didn't perform 'Can't Take It In' from the Narnia soundtrack which I thought she would. She performed 'Hallelujah' (for only the second time live), and recounted her brush with the cookie box police in Knoxville which was a fun story. Imogen also mentioned she had been up late mixing some 'live' songs for iTunes Canada, so keep an eye out for those being available soon. I hung around afterwards and was lucky enough to meet Immi again and got a few more things signed. Ryan Obermeyer who designed the 'Goodnight And Go' artwork was helping at the merchandise booth so I got him to sign my G&G cd single also. She was gracious with all the fans and everyone left feeling great I'm sure. As a treat I'm making available 'Headlock' (Instrumental version) one of the tracks off 'Speak For Yourself' (this version is from a super rare music publishing cd of instrumental versions of SFY tracks). I doubt you will find this anywhere else on the net, so download it while you can. The entire shows set list is listed below also. 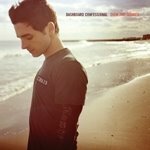 Just looking around iTunes and came across the new Dashboard Confessional's single 'Don't Wait'. The b-side or bonus track when you buy the single is a decent cover of the classic Big Country track 'In A Big Country'. Well worth picking up for both tracks. xolondon's excellent blog. It made me dig out some of Nick's cds and I've decided to make available the cover of The Beatles 'If I Needed Someone' from Nick's 'A Hard Days Nick' EP that was released in 1996. I found that Nick has a 'MySpace' site and a website under construction, so maybe some new material will appear soon. Last thing I saw about him was the VH1 'Bands Reunited' episode on Haircut 100. 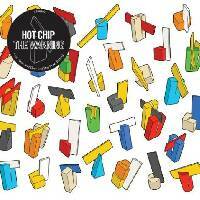 Just heard a cool track by the London based five-piece band ’Hot Chip’ called ‘And I Was A Boy From School’ that I thought you should check out. It comes from their album ‘The Warning’ out on EMI in the U.K. Check out the video at their website and see what you think. I spoke briefly with Natalie Imbruglia when she was in town recently in her role as a spokesperson for a United Nations campaign to eradicate obstetric fistula. She has been in New York City writing new material with the prolific and successful songwriter Billy Mann. But she will be taking a break from the writing/recording process soon to shoot a film in Australia called 'Elise'. Natalie hasn't had as much success musically in North America in recent years, but her last album 'Counting Down The Days' hit number one on the U.K. album charts in it's first week of sales, and the single 'Shiver' became her longest running single on the U.K. Charts since her debut single 'Torn'. One of my all time favourite singers is the beautiful and talented Jonatha Brooke. Back in 1995 I was invited to a showcase to see her perform at The Rivoli in Toronto and was an instant fan. I had been listening to her fantastic 'Plumb' cd and then saw this exceptional live concert. I've seen her many times since then, most recently I caught a special gig in New York City in March of 2004. She was having a five night run at the intimate Anspacher Theatre and once again she was amazing as was her band. They filmed one or two of the shows and plan to release a Live DVD soon. My favourite track on her most recent album 'Back In The Circus' is 'Less Than Love Is Nothing'. Jonatha co-wrote the track with Eric Bazilian (The Hooters/Joan Osborne). The good news is that Jonatha and Eric have co-written some tracks together for her forthcoming album that she is recording with Bob Clearmountain in Los Angeles. Click HERE to go to her website where you can listen to samples of all the tracks on Back In The Circus. When there are release dates for the live DVD and Jonatha's new studio album I'll be sure to mention it here. We're into season/series finales on television as shows wrap up their seasons. I liked the 'West Wing' finale, a quality show that seemed to lose it's popularity in recent years but it was still very watchable. The 'ER' cliffhanger finale was great, hopefully we will see the exit of Scott Grimes as Dr. Archie Morris as he had become even more annoying as the season progressed. I was enjoying the first season finale of 'Prison Break' but was let down in the last five minutes, a poor ending in my opinion for those of us who watched all season. I thought 'Invasion' was one of the better new series this season, but it has not been renewed so the season (series) ender left us with a lot of unanswered questions. Unfortunately the second season of 'Veronica Mars' hasn't aired in Canada (CTV aired the first season last summer, their website doesn't list any info on whether or not it will air the second season). Maybe I'll wait and rent the DVD of season 2. Still waiting for the finales for 24, Everwood, LOST, and Alias. It appears that Green Gartside's new Scritti Politti album 'White Bread Black Beer' will get released in the U.S. (and hopefully Canada) through Nonesuch Records on July 25th, 2006 (it is due out on Rough Trade Records in the U.K. on May 29th). This is Green's first new album in seven years since 'Anomie & Bonhomie'. The best news of all is that there are plans for some tour dates in North America. Green recently started performing live again after over 20 + years (he suffered panic attacks from performing live so he stopped) under the moniker Double G and the Traitorous 3. His next U.K. gig is scheduled for the Hay Literary Festival, Friday June 2nd. 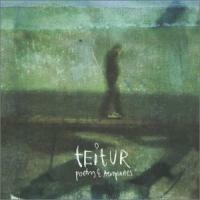 Teitur’s Rupert Hine produced ‘Poetry & Aeroplanes’ is still a favourite and a solid record from start to finish. I’ve been lucky enough to see him live several times and he always puts on a great show whether it’s solo acoustic or with his band. Since Teitur’s direction on his new album wasn’t what the A&R lady at Universal who signed him liked, he is no longer with that major label. He has formed his own label Arlo and Betty Recordings (named after two of his two favourite Gibson acoustic guitars) and his new album ‘Stay Under The Stars’ was recently released in Denmark and is available to order from iMusic. My copy arrived a few weeks ago and it is a nice record, but not as strong as P&A on first listen. I’m sure it will grow on me after more listens, it just didn’t blow me away as I had hoped it would. The first single ‘Louis Louis’ has gone to number one on the Faroe Islands (where he is from), and his manager has mentioned that they are trying to plan a North American tour that should happen this summer. 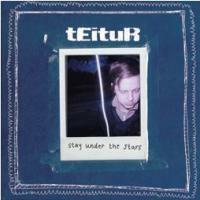 I also discovered a cool track by Teitur on iTunes called ‘Syner’, he sings in Danish and it is a must for any fan. Once I figure out how to post some MP3’s on the blog I will, just not sure if I have the technology to do it properly or not. Well I watched the season finale of 'The O.C.' 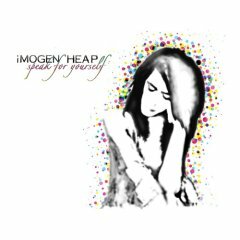 to hear Imogen Heap's version of Leonard Cohen's 'Hallelujah' as well as the new b-side 'Speeding Cars'. Cars received more airtime during the show, and I'll reserve judgement on her version of Hallelujah until I hear the full recording (supposed to be on the next O.C. soundtrack CD due out in the fall). You can listen to a stream of Immi's version of Hallelujah by clicking the title. Today I received a cd of Imogen Heap's 'Speak For Yourself' (one of my favourite records of the last year). The thing about the cd I got today is that it is a music publishing cd that actually features instrumental versions of most of the songs on the album. I bought the new Keane single 'Is It Any Wonder?' from iTunes last night and it is growing on me. I've been waiting for the new album 'Under The Iron Sea' for quite a while and will be glad to get a copy on June 20th. I met the guys a few times at some of their Toronto shows and they are very nice (loved the acoustic gig at the Mill House Brewery before their Kool Haus show). I saw an ad for the new Keanu Reeves/Sandra Bullock movie 'The Lake House' on TV tonight, features the Keane track 'Somewhere Only We Know'. 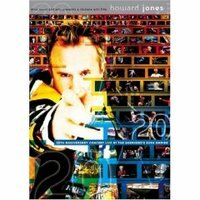 I attended Howard Jones' 20th Anniversary concert at Shepherd's Bush Empire in London back in September 2003 and am happy to see that the 2 DVD recording of this amazing show has finally been released in North America by KOCH (due out in Canada in June). I was very disappointed to see that the new CW network (UPN & the WB combined) did not pick up 'Everwood' for another season. Everwood is one of the best shows on television today and I will miss it next season. Maybe another network will pick it up (wishful thinking, I know). I've decided to try my hand at this world of blogging. I will probably just post things about music and entertainment, pointing you in the direction of things I like. It may morph into something else as I get the hang of things, wait and see.